After the recent revelation that Olympic gold medalist Mckayla Maroney was one of the victims of sexual assault by disgraced former team doctory Larry Nassar, USAG found themselves once again under fire for failing to protect gymnasts from sexual abuse. US Olympic medalist Terin Humphrey, who is heavily affiliated with the organization, was accused of posting a 'tone deaf' tweet amid Maroney's revelation. 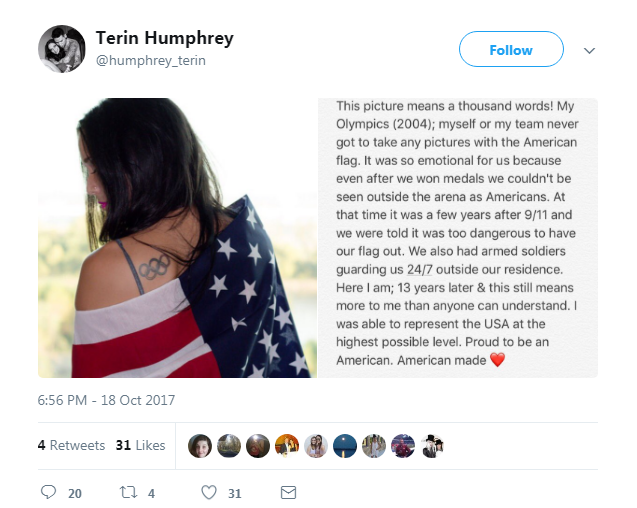 Humphrey posted a photo of herself on Twitter wearing the US flag which included text that says "This picture means a thousand words! My Olympics (2004); myself or my team never got to take any pictures with the American flag. " "It was so emotional for us because even after we won medals we couldn't be seen outside the arena as Americans. At that time it was few years after 9/11 and we were told it was too dangerous to have our flag out." "We also had armed soldier guarding us 24/7 outside their residence. Here I am 13 years later & this still means more to me than anyone can understand. I was able to represent the USA at the highest possible level. Proud to be American. American made." 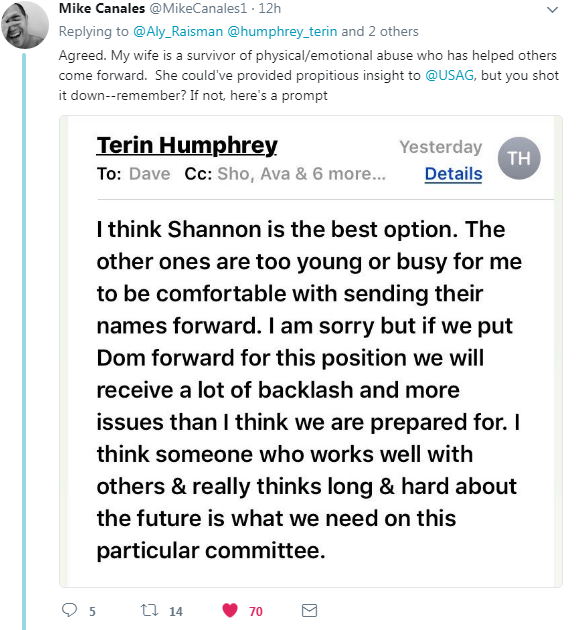 Humphrey received backlash following her tweet with many expressing their disappointment as the retired gymnast is an athlete representative in the organization and a former law enforcement officer. 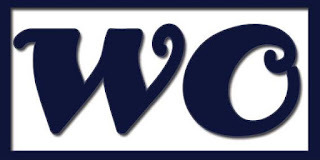 "Given Maroney's news today, & the fact that you worked for USAG, & as an officer of the law, at that time. You choose to post THIS? Now?." "This is what you choose to post after one of your most visible athletes bravely comes forward about being sexually assaulted? not right"
"This is what you choose to say after McKayla posts about her awful experience? We need a new athlete rep, someone who cares about the girls." "Wow, this is horrible timing, and for someone who is supposed to help protect the athletes..."
"The silence from you and all other reps is so deafening. Supporting gymnasts like Maroney on a day like today should be the #1 priority." "I’m very sorry you weren’t able to wear USA t-shirts but 100% more concerned about sexual assault involving minors under the care of @USAGym"
"I mean, could you BE more tone deaf? Oh I'm sorry, you're complicit in abuse and know exactly what you're doing. Could you BE more gross?" "You are insensitive and almost smug at a time when an Olympian comes forward as a victim. The athlete rep should be Aly Raisman." "Oh my god it’s almost like police officers don’t take sexual abuse seriously!" "Well that’s super insensitive. 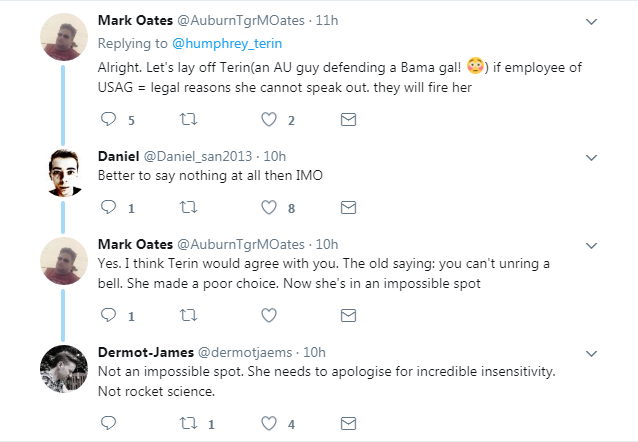 Nice one"
While a Twitter user pointed out that Terin is an employee under USAG and she could risk being fired if she spoke out, others responded to them that it would have been better to stay silent and that she "needs to apologies for incredible insensitivity". Humphrey was also blasted by Olympic gold medalist Dominique Moceanu's husband who revealed that she shot down his wife when Dominique could've provided propitious insight. Terin Humphrey was part of the 2004 US Olympic team, where she won silver with the team and on uneven bars, and the 2003 World gold winning team.